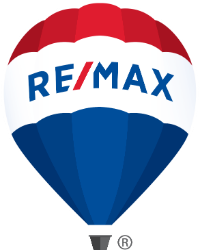 Suellyn, of RE/MAX Partners Steamboat Springs, CO, is a 14 year real estate veteran with a long history of successfully guiding local, national and multinational clients in their residential and commercial purchases. Her knowledge of the Steamboat Springs real estate market is unparalleled & her clients have consistently sought her advice and trusted her judgment on many multi-million dollar transactions. As the former owner of a successful business, she is known for outstanding client service, including consistent communication and strong attention to detail which ensure positive, seamless transactions. 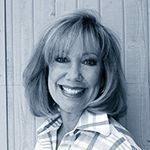 As a member of professional networking groups like Certified Residential Specialists, Colorado Association of Realtors, and National Association of Realtors, she has also served as a Board member of Steamboat Springs Board of Realtors and served as President of that organization. Her strong belief in education that allows her to give her clients the most in expertise is evidenced by her accomplishment of the Certified Residential Specialists designation, which is obtained by less than 3% of the Realtors nationwide. She is exceptionally well respected in Steamboat Springs for her unparalleled professional track record & high ethical standards, as well as for being an honest, hard-working woman who does absolutely everything in her power to ensure her clients’ success. Her exceptionally loyal clientele, personal referrals, and repeat business form the foundation of Suellyn’s business.